Our good friend Ross sent us a note asking about MIDI and OAX. As you may / may not not know, just about everything on your Sonic is based on some type of MIDI communication. 99.9% of that is hidden from you. Where it starts to get interesting is when you decide to start working with one of my favorites (adding VST’s to your Sonic) or running physical cables to some external MIDI device. In my case that was a Roland Integra 7 sound module. It worked just fine and we went over a very basic config in this video. In Ross’s case, he is working with a Ketron SD-40 . While Ross and I are off trading emails on getting that to work (hopefully), it brings up a good question. How much interest would folks have in a video or two and starting some discussions on what you can / can’t do with the current OAX MIDI implementation on OAX? Post your comments and thoughts below. I’ve rearranged my studio (many times) over the past 6 months and currently I don’t have anything connected to my Sonic via MIDI. Doesn’t mean that I can’t, but currently, we don’t have an external MIDI config up and running to test / learn / share “stuff” on. Any other Sonic owners running external MIDI devices? Is this a topic that others are interested in and would like to explore in more detail? **Updated 11/03/17 – Based on feedback and overall interest we started a MIDI topic here. I’m very interesting how to make the right intern midi adjustments for the SD40 and also on the Sonic 600 Ls. I ‘m purchased a new Ketron SD40 ……….. But lucky me, I have read, there are many specialist here . I hope there is any one they can give me the right information’s how to do that on the right way with the right instructions? You should contact the manufacturer, point them at this website and ask for an evaluation unit to review. In most cases if a manufacturer can ascertain that your evaluation is genuine, they will oblige. I do it all the time. Worth a shot. Let’s see what happens. may come in the future. Out of interest Jerry which keyboard would use as the “controller”, meaning the one you would actually play from? I want to use the Ikarusas as the controller since I have most of my MIDIs loaded there. I also have a Scala which is a different room. The Scala is creating “phantom static” when I play along with a MIDI file. I am told that the processor is getting too much input in the background. The “C” drive is about 80% full. from Ralph and Chris did some extra things to it. I have an Ikarus, Pegasus, and a Korg Triton and have never tried to midi them together. I would like some suggestions even though I am still in OAS. OAX May come in the future. Have good read of this http://tweakheadz.com/how-to-get-started-with-midi-and-the-difference-between-midi-and-audio-is-explained-along-with-many-other-core-concepts-for-building-a-home-recording-studio/ before proceeding, as it will give you a good understanding of Midi and how to use it to link up your instruments. this document looks very interesting, at the moment I am very frustrated with not getting a result due to the lack of in depth knowledge this area. In you other post you mention its a 5 minute job, I wish. NOTE: Ketron (And Roland) style compatibility is due in the next OAX update, by (As I understand it) a special OAX version of EMC styleworks. Hi Bill can you feed me any more in depth tips. 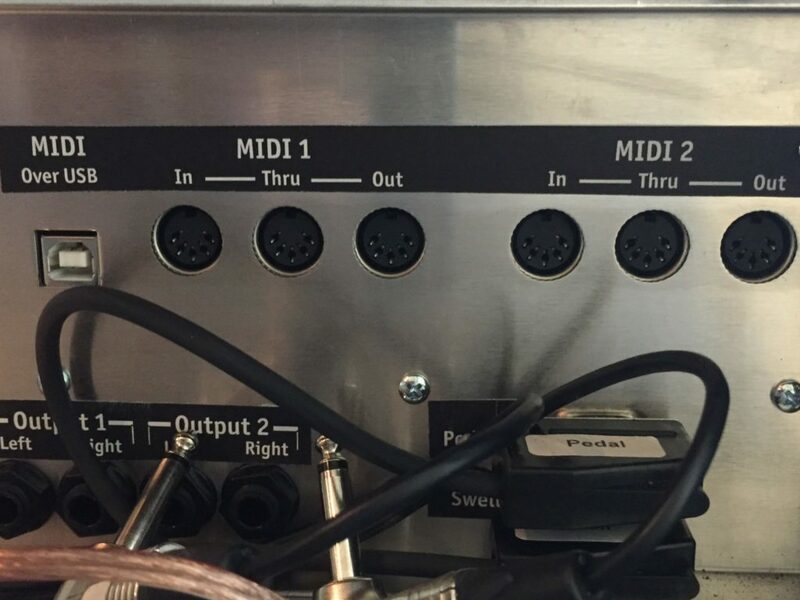 When you say midi control do you mean Wersi sys(1)? Set up OAX and SD40 in exactly the same way that Curt connected his Integra, and use it exactly the same as Curt did, (This will allow you to play the sounds of the SD40 as if they were built into OAX) then use the style controls on the SD40 to play the Ketron styles. (You will need to set Midi Control to on in the SD40 so it will accept all the CC codes that the Wersi can send and also make sure Multi-Mode is selected so that all 16 channels can be accessed) NOTE: you can also use the SD40 to control the OAX sounds which could be handy for the styles, but we are probably jumping too far ahead there. I suspect you are busy with your pedalboard modifications but just curious if you made any progress with the Ketron based on Bill’s comments above? Anything to do with MIDI would be interesting. I currently have an Integra 7 connected but only used the settings that you shown us. Also thinking about obtaining a V3-Theatre Organ in a Box, plus I have Cubase 8.5 with the VST 3 instruments set. On another note, can the CC drawbar be used to control anything I hate a stop that just sits there! Derek – I have wondered more than once why we have CC drawbar. Along with that the other drawbars have the label “assignable” or some wording close to that yet – Nothing can be assigned to them as far as I know. 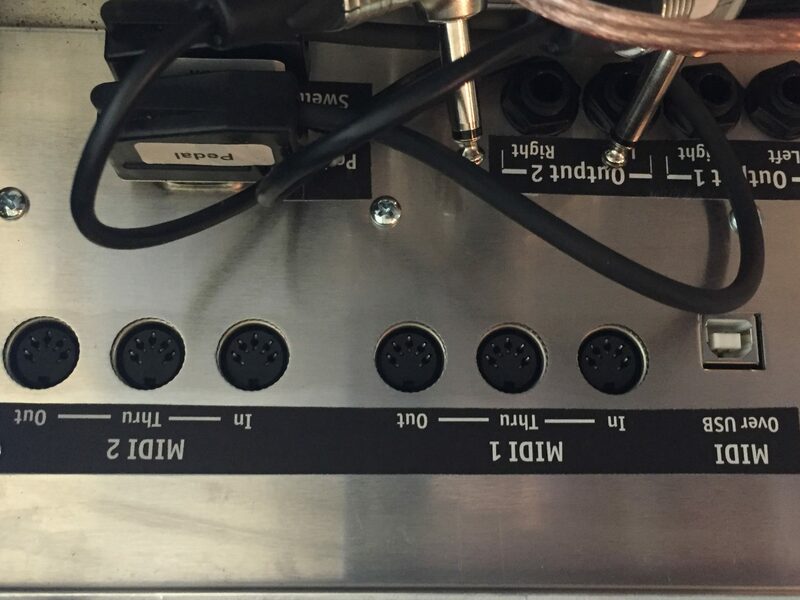 One would think the CC drawbar and the others could be mapped to MIDI controllers in support of working with other MIDI devices, for example, like your Integra or the Ketron that a few folks have mentioned in this thread. Perhaps in some future update? Ross – Check out Bill’s comments above. Sounds like exactly what you want to do. Update us on where you are at? In the meantime I’m going to dust off a couple of articles on basic MIDI I wrote years ago and get them posted. I’m currently considering buying a Roland Fantom XR. The reason for this is that a company in the UK, Total Transformation Technology, have sampled the Blackpool Tower Wurlitzer and sell the samples to go with the Fantom. My other passion apart from playing the Wersi, is ballroom dancing and my wife and I often dance at the Tower and love the sound of the Wurlitzer. So I’m hoping that linking it up to the Sonic shouldn’t be too much of a problem, but I need to do some reading up on the Fantom before I make a decision. Wersi were the first manufacture to sample the Blackpool Wurlitzer, (And originally had the sole rights to them (Hence for a time TTT had to drop the Wurlitzer name on their sample set) and while never used in OAS, they are supposed to be included with OAX, so you may find you are just duplicating sounds with the TTT card, so double check before purchasing. They are there ok. Go to Sounds, Church, Theatre, then Blackpool. Nice – Learn something new everyday! Never noticed the “Blackpool” option at the bottom of the screen. Some nice sounds! Although these are on a V3sound module, they are the same sounds on the Fantom. I have not taken the time to setup presets but this is pretty easy to get going and sounded great. Perhaps something to consider as an option or to go along with the Fantom idea you are thinking about? have all of our Theatre samples plus many more on board sounds, in total 1200. Keep an eye on our site and feel free to contact Reg or myself via the site. Hi Dave and Reg – It’s an honor to have you join us. Please keep us posted as your new module gets closer to coming online. Sounds very interesting! Wersi, very professional, if ever Reg and I can be of any help just say the word. I have been in contact with Reg yesterday. The new module sounds interesting. Look forward to hearing more about it.